Within are the simple procedures in order to gain access to your training portfolio. 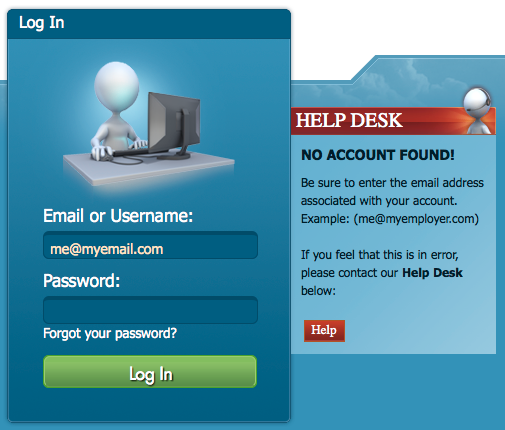 Much of the training content is personalized, therefore we require that each user uniquely identify themselves by providing an email address (or username if previously set) and a personalized password into the fields identified above. In doing so, if the system deems your credentials to be valid, it will allow entry into the system. 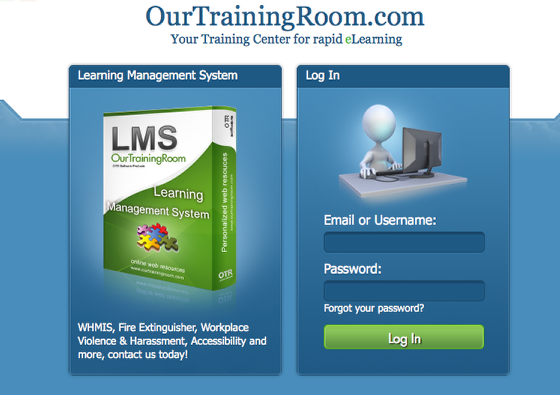 Upon a successful log in, you will be navigated to the default dashboard where you will now have access to all of the training materials available along with any training related history you may have. In the event that the system doesn't recognize the email address that you've supplied, a dialog will appear indicating such along with all of the support options available to you. Be sure to verify the accuracy of the information supplied. In the event that the system doesn't recognize the password you've supplied, the above dialog will appear allowing you to the option of having your password sent to the email address that we have associated with your account or the option of contacting us for further support. Next Page: How do I obtain Support?